Primo Pet Services have been the best find ever! After been left in the lurch by my previous dog walker nearly 4 years ago, I got in touch with Sarah at Primo Pet Services and immediately felt that I had found the perfect person to care for Monty. Sarah was completely professional from the word go and so competent that I really felt at ease. Knowing that someone who truly cares for your much loved pet in the way that you do and not simply trying to make money is very reassuring. Monty adores Sarah and looks forward to his group walks every weekday lunchtime and I feel confident knowing that he is in very safe hands and that if there was any concern at all Sarah or one of her team would contact me immediately. They are very observant and always know if Monty is a bit off par and they react accordingly, giving Monty what he needs. Without a doubt Primo Pet Services go the extra mile and always put the pets in their care first before anything else. I would strongly recommend Sarah and her team if you are looking for someone to walk/care for your pet.
" I’ve known Sarah for 4 years now and thought I could never trust a sitter again after a previous bad experience but Sarah came to my area with her dog to meet me and my dog and made me feel at ease instantly! I've never looked back. Sarah regularly takes my dog out on day care or takes him for my mini breaks in the year and my dog loves her and her dogs! Sarah has even sat my cats and rabbits and dealt with my rabbits death whilst I was away for me very quickly and easily! If you want a friendly, reliable and decent priced sitter Sarahs your sitter or walker! " " I’ve been using Primo Pet Services for about a year. 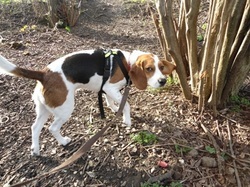 My beagle Scraps loves Sarah and her dogs, and is always asleep when I get home from work – a good sign that the lunch time walks are keeping him busy and he’s having fun. If we’re going away for the weekend we also use Primo’s boarding services and I know I don’t need to worry about Scraps because he’s well looked after, entertained and walked. " " Gizmo walks with Sarah at Primo Pet Services regularly and he always comes home tired and content. Although Gizmo cannot be let off lead he still gets worn out on long walks with Sarah. I was happily surprised when Sarah also showed me a few tricks she had taught Gizmo including 'dancing' on his hind legs, putting a paw on his nose and a spin! " " My small dog Beau is very nervous with new people and dogs but with Sarahs expert advice and patience he has come on in leaps and bounds! He is now confident to walk with Sarah and her rottweilers (who are the most soppy dogs you will ever meet!) and he enjoys long walks in Epping Forest with Sarah and her very well behaved small groups. I met Sarah at Chingford Planes when she was training with another clients dog and I was amazed at her calm knowledgeable approach. Beau means the world to me and I wanted him to have the best dog walker (not one who walks too many dogs or dangerous dogs) and I could not be happier with Sarah. Her van is so clean and professional, Beau really does travel in style! " 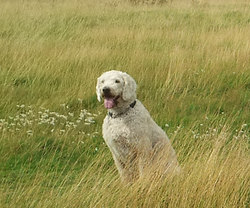 " After many attempts to find an experienced and reliable dog walker I found Sarah through Google. Sarah treats Lexi with the same love and affection she gives all her dogs. (Lexi now has two mummies!) I've walked with Sarah and her groups many times and it is always a joy. I would recommend Primo Pet Services to every dog owner who needs a professional dog walker! I wouldn't go anywhere else. " 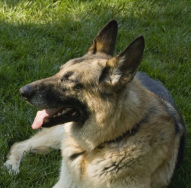 " I met Sarah at the Gunpowder Park on Sewardstone road and I was drawn in by her incredibly presented dog walking van! 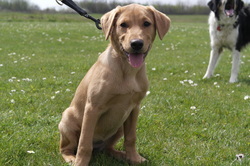 We then booked a training session with Sarah to work on basic obedience which was very useful and allot of fun! We still train with Sarah regularly and Bonnie has improved dramatically. " " Monty has spent numerous nights with Sarah and always comes home well rested and happy. Although he is a very boisterous and sometimes a clumsy dog, Sarahs calm, assertive manner makes them a great match. Sarah has helped train Monty to not pull on the lead which has meant I can now enjoy longer walks with him. I am ever grateful to Sarah for her help. " " Sarah walks Jack for me while I go on holiday each year since 2009 and I could not ask for a more reliable and competent dog walker. Jack adores Sarah and together they have competed in a local dog talent show in which they came 2nd! " "I met Sarah while she was training her rottweilers over Chingford planes and booked Toby in for some general obedience classes. Now Toby walks well on the lead whereas he used to choke himself while pulling me to see another dog! Sarah has also helped me teach Toby to be controlled when visitors come to my house with brilliant results! 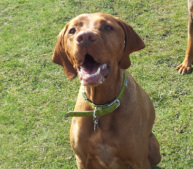 She is a calm, assertive dog trainer and we look forward to doing more training with her!"